A hot tub or spa from Buddy’s creates a place where you can take time from your hectic life to relax and enjoy family and friends. Studies confirm that hot tubs and spas help to relieve tension, lower blood pressure, relax strained muscles and ease joint pain. You’ll feel refreshed and renewed when you relax in your hot tub or spa after a long day of activities. 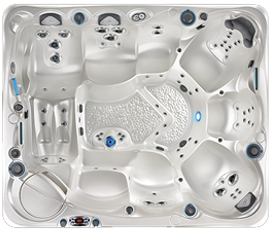 As your local hot tub dealer, Buddy’s makes purchasing, installing and caring for your hot tub or spa a stress-free experience. With more than 30 years of experience, we provide the guidance you need to choose the Caldera spa that’s perfect for you. 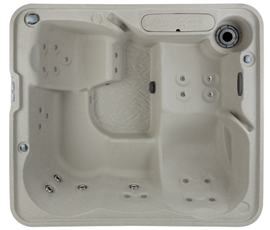 We also offer a complete line of hot tub and spa chemicals, supplies and accessories. Stop by our showroom on York Road in Cockeysville, MD, located just north of Timonium in Northern Baltimore County or explore our website to learn how a spa or hot tub can improve your quality of life.